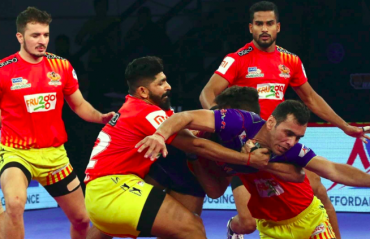 Bengal Warriors’ unbeaten run in their home leg came to an end as they lost 37-31 to Dabang Delhi. Dabang Delhi registered a sensational 29-27 victory over Gujarat Fortunegiants in the Vivo Pro Kabaddi Season 6. A last-minute tackle settled what was a really close affair between two evenly-matched teams. The brave moment of the match belonged to Monu of Puneri Paltan for his Super Raid in the 15th minute to get Joginder Narwal, Ravinder Pahal and Vishal Mane out. Naveen Kumar of Dabang Delhi K.C. was given the Perfect Raider for 6 raid points. 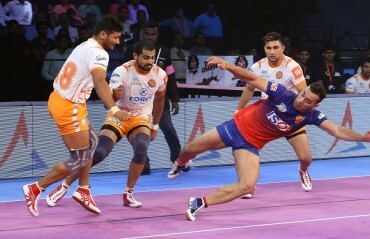 Rinku Narwal of Puneri Paltan was given the Defender of the match for 4 tackle points. The brave moment of the match belonged to Narender from UP Yoddha for catching Naveen Kumar in the 40th minute. Shrikant Jadhav was given the Perfect Raider was with 12 raid points. Nitesh Kumar was given the Defender of the match with 4 tackle points. Dabang Delhi KC put up a spirited performance to beat Puneri Paltan 41-37 in Match 12 of Vivo Pro Kabaddi Season VI. Tie between Dabang Delhi and Gujarat Fortunegiants in their opening match of VIVO Pro Kabaddi Season VI Powered By Thums Up. Both teams were equally matched and their highly anticipated match ended in a fiercely contested draw with both teams looking fit and defending bravely on the mat. 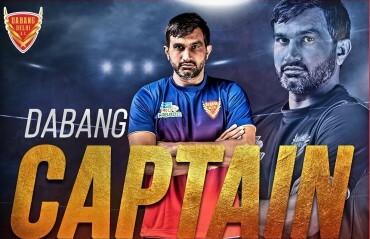 Pro Kabaddi League franchise Dabang Delhi KC on Thursday announced Joginder Narwal as the captain for the upcoming sixth season. MASHAL SPORTS PVT. LTD. announced that the sixth season of the VIVO Pro Kabaddi will begin on 19th October 2018. THE PRO KABADDI SEASON 5 final between Gujarat Fortunegiants and Patna Pirates is the most watched non-cricketing match ever in India.